As TIC’s primary Partner-in-charge of the firm’s banking litigation portfolio, Seng Giap has expanded the firm’s banking practice since 2010 and now serves various banks and financial institutions, handling and advising on matters relating to credit cards, consumer loans, business loans, hire purchases and share/securities trading accounts. Prior to entering the sphere of private practice, Seng Giap received his legal education at the University of Bristol, during which he first joined Tito Isaac & Co LLP as an intern during the summer holidays of 2005 and 2006. He was already exposed to an array of civil and criminal matters, assisting the partners and other associates in numerous debt recovery actions and criminal mentions, including assisting in the preparation of a petition for clemency to the President of Singapore. He also obtained a Graduate Diploma in Singapore Law from the National University of Singapore and, upon completion of his pupillage at TIC, was admitted as an Advocate and Solicitor of the Supreme Court of Singapore in May 2009. 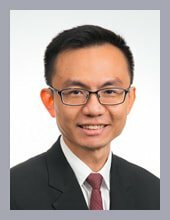 Since 2014, Seng Giap has also expanded TIC’s corporate practice department, having it appointed to the panel of solicitors for a well-known local entity (listed on the Singapore Exchange) in the Food & Beverage industry along with its various subsidiaries, whilst also advising and directly handling the client’s litigious matters.